Oh it’s sweet 16 episode for YATS. Thanks for checking out Yet Another Tech Show. Ant Pruitt here. We took the week off and celebrated the US Independence Day. 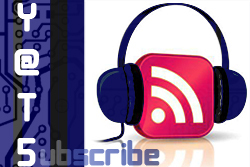 We’re back this week fully energized and ready to bring you great tech news and insight you’re all used to getting from the crew here at YATS. 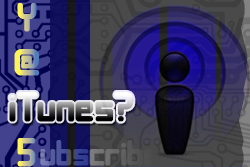 Be sure to subscribe to us and rate us in iTunes as well as subscribe on your other podcatchers. Follow all of us on Facebook, Google+, and Twitter. Mat discussed the findings of a new moon orbiting (former planet) Pluto. Was this discovery possible because of the electronics improvements recently implemented into Hubble? Mike wonders if this news is just a consolation prize for Pluto not being known as a planet. Physics geeks have been awed by the confirmation of the God Particle discovery in the Higgs field. This topic was definitely out of the expertise of the crew, but we all noted that Larry’s blog and post on aNewDomain had great information in it that further explain the phenomenal discovery. We’re all happy for Peter Higgs as he has spent most of his life trying to prove his theory. Amazon’s next Kindle Fire has been rumored and is set to rival the Google Nexus 7. Currently, the Nexus 7 specs blow away the Fire, no pun intended. The Android fans of the YATS crew drools in hopes of getting one. Amazon’s next Kindle Fire just may be interesting as well. A new high resolution display as well as forward camera are rumored as specs. The ecosystem will likely determine the success of these camps. Google Play Store versus Amazon. The Big Apple, not the computer company, will be using old telephone booths as wifi hot spots free for the public. Some of you younger YATS listeners may not know that one time we had to put a quarter into a phone outside to make phone calls locally. Ten locations are currently set to be pilot locations for testing. We all know that BlackBerry manufacturer, RIM, has been a financial disaster recently. The current CEO of RIM has been highly optimistic about the current state of the company. The problem is with his optimism is the shareholders can look at it is false information regarding the status of the company. A few days later, CEO Thorsten Heins publicly mentions his concerns for the company. Was he covering himself from litigation? Want allow Facebook to handle your money online? Facebook is working to develop relationships with banks to offer a financial service to its users. The users could potentially build a stronger relationship with their bankers and develop payment systems between merchants and Facebook friends. Do you want your banking transactions posted on your Facebook wall? Did you hear Microsoft CEO Steve Balmer discuss that Microsoft will not be out innovated by Apple? Is this a push in desperation for to just be relevant in the press? Microsoft has potential in a lot of areas regarding enterprise and gaming, but are they too late to the market space? Larry discusses how he’s enjoying the Tour de France online and the different options he battled. Cord cutting is a real culture today. Cable companies have to understand they only have so much leverage these days. Services such as Amazon Prime, Netflix, and Hulu Plus have a lot to offer to cord-cutters. Thanks for checking out YATS, everyone. Another great episode in the books. Be sure to connect to each of us on our social media buttons above for Google+, Twitter, and Facebook. Feel free to leave us a comment below. Also, if you donate to the show, we will mention you on the show. Similar to being an episode sponsor. Leave a note with your donation and we’ll read it on air. Please keep it clean. 🙂 Thanks, YATSsquadron!